During the winter months Ocean City can be described as a sleepy beach town, which receives occasional visitors on select weekends, and hosts a few conventions here and there. Most of the restaurants and bars are closed until the tourist season begins, not to mention a large number of hotels and motels that remain empty. But starting in May, and really picking up Memorial Day Weekend, Ocean City transforms into a bustling destination for beachgoers trying to escape the hot and humid summers of Baltimore and Washington, and for those who are simply seeking their own square of sand to camp out for the day. Some go to relax, some go to take the kids to the rides and mini golf courses, but thousands simply go to party. The summer months attract high school and college students celebrating a little freedom from classes and school work, and adults of all ages looking for a good time. Hundreds of bars and restaurants line the ten-mile stretch of coastline, and the aptly named strip called Coastal Highway. Despite the fact that the city provides decent public transportation, and cab service is available, incidents of drunk driving are extremely common during the tourist season. DUI is one of the most common crimes on the Maryland Eastern Shore, and along with drug possession makes up the majority of arrests. If you have been arrested for DUI or DWI by the Ocean City Police or by the Worcester County Police, our criminal defense lawyers are standing by to assist you. In order to account for the dramatic increase in population of the city during the summer months, hundreds of police officers are hired as seasonal employees. These seasonal cops are often inexperienced and young, and unfortunately have the tendency to make arrests that are unwarranted or illegal. These green officers are out patrolling the streets just months or weeks after they receive their training, and are looking to make arrests. We have seen first hand that many of these arrests, especially alcohol related arrests, are severely flawed, and can be defeated in court. The Herbst Firm never recommends that you walk into court without retaining an experienced criminal attorney. 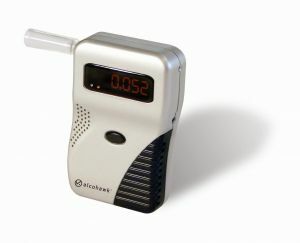 Even if you have taken a breathalyzer test and the results are above the legal limit, we may still be able to have your case dismissed. Maryland DUI laws are harsh, and have a variety of mandatory sentencing provisions including the loss of driving privileges, alcohol classes, and heavy fines. Most drunk driving arrests in Ocean City are first time offenders that have not been in any sort of legal trouble before. Even a first offender who receives a probation before judgment or PBJ may suffer permanent consequences for pleading guilty to DUI. A conviction for this crime is something that can stay with you for the rest of your life. Do not gamble with your future, or with your ability to maintain your driving privileges! We offer flexible payment plans for all criminal cases, and will fight to assure your rights are protected the minute we are retained. Our lawyers have handled numerous cases in the Ocean City District Court, and the Worcester County Circuit Court. Call us to set up a free consultation over the phone or in person, and remember that we are willing to travel to meet with you wherever is convenient.